Little League T-Ball (U8) is a modified version of baseball designed to introduce young players to hitting a stationary ball and making routine baseball plays. Little League T-Ball is the next step after Aussie T-Ball. Little League T-Ball players are normally in the 5 – 8 age range, depending on skill level. Little League T-Ball (U8) is the first age group where teams start to travel and play against other clubs. Players are encouraged to develop their hitting, fielding and running skills through the use of game-based activities. Teams consist of a minimum of 9 and a maximum of 12 players. T-Ball will be run on a Friday afternoon/evening from 5:30p,. Skills development and game play. Fun for the kids and a great way to finish the week at the ball park. In 2018/2019 there will be regular game nights where clubs will meet to have inter club competition. The dates and venues will be confirmed by your team coach/manager. 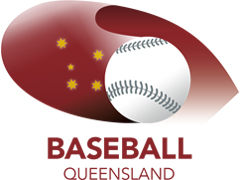 It does require travel within the region with teams playing as far east as Sheldon, in Redlands Shire, as far south as Beenleigh, and north to Mt Gravatt. T-Ball is designed to be a hands-on program, with direct coaching of young players; Indians Baseball Club asks that Parents of T-Ball players are present during all sessions to assist in coaching and of development young players. Indians Baseball Club would like to encourage parents and volunteers to consider taking on a role to assist a T-Ball team. Indians Baseball Club will provide support, educational material and support to any person who is interested in taking on a role.